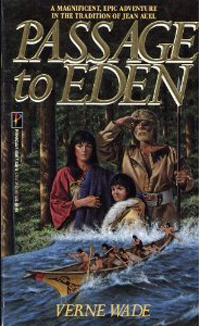 Verne Wade is the author of Passage to Eden (1991) - the story of Aengus the seafarer whose wanderings lead him to the untamed wilderness of pre-historic northwestern America. Amid tall lush forests, wild animals, and ancient Indian tribes, Aengus discovers his destiny as a leader among a primitive and noble people. Wade's story Afternoon of the World is featured in the science fiction anthology Obliquity (2006).